In my ongoing series of email marketing conundrums, I couldn’t possibly overlook this one: declining email marketing open rates. Although much has been written on the subject, my goal is to provide you with not just a diagnostic checklist for investigating why open rates are falling, nor to hand you a “best practices” list of what to do to reverse the decline, but to go beyond that by (most of all) giving you a “reality check” on the subject and presenting a new, more constructive way to see this situation, as well as a new mindset on email marketing performance measurement altogether. In short: while we do need to pay attention to declining open rates, there’s too much focus on them at the expense of more meaningful email marketing performance measures. Why the obsession with open rates? For one, opening a message is the very first positive response action a subscriber can take with our email, and since we both need and desire positive response for email marketing to work, we give the open a lot of weight. Second, opens are one of the easiest email response actions to measure. Opens are, however, neither entirely accurate nor inclusive, mostly because they can’t be tracked from plain-text (non-graphical) messages, but also due to the growing variety of and differences in email-receiving environments. Some mobile devices, for example, don’t report a message as opened even if it is. In other receiving environments like Outlook, messages in the inbox register as opened even if they were merely skimmed, previewed or barely looked at and never actually opened in a dedicated window. The imperfections of email opens as a response measure being what they are, falling open rates should not be ignored. They’re a potent clue that something is happening, but what exactly? See them as a signal (or wake-up call, if necessary) for investigating what’s really causing a decline. Here’s a brief diagnostic checklist for getting to the root of the problem. (By the way, this is exactly the kind of issue that drives many coaching clients to Synchronicity Marketing and that we often work through in a Coaching Program). 1. First, be sure you’re not having a deliverability problem instead of an engagement problem. Are your messages actually reaching the inbox in the first place? If they’re not, obviously open rates will drop, so be sure to measure deliverability with every campaign. If it turns out you are having a deliverability issue, then that – not lack of engagement – is the problem you need to get to the bottom of. Have new subscribers increased considerably? If so, where did they come from? What is/are the source(s) of new email addresses on your list? Is a significant percentage of your list now opening your email on mobile devices? What type of opt-in/permission process was used to acquire new subscribers? What is the first message sent to new subscribers? Are new subscribers/list segments being mailed in blended campaigns with existing subscribers, or segmented from your general population and mailed separately? Have you recently mailed a segment of subscribers you haven’t mailed in a long time? Asking and answering all of the above will yield additional insights into why your open rates are falling. Especially if you’re mailing new or inactive audiences, it’s not unusual to see a dip in opens either because new subscribers aren’t sufficiently warmed up, or because inactive subscribers have become chronically non-responsive. Also, weak permission can be an engagement killer – if permission is questionable see this post and this one. 3. Third, if you’re not having a deliverability problem and not mailing to new segments or lists, you might be having a message rendering problem. Can people see your messages? Are they showing up in the inbox as you intended, or getting mangled on arrival? Using a tool like Litmus can give you the answers and allow you to actually see how your message appears in different email receiving environments. That way, you can determine if people are trying to open but seeing nothing worth opening, or if images (necessary for measuring opens) simply aren’t rendering enough to track an open. 4. If you can rule out all of the above, it’s time to examine your messaging strategy and engagement drivers (another common focus in my coaching programs), specifically any deviations from the norm, such as drastic changes in frequency, message design, subject line conventions, and offer types. (Already feeling overwhelmed? This will help). Are you sending new and varied communications that offer value, or just repeating what you’ve done before? If you’re in repetitive mode and seeing open rates decline, you’re experiencing the law of diminishing returns and it’s time for a refresh. 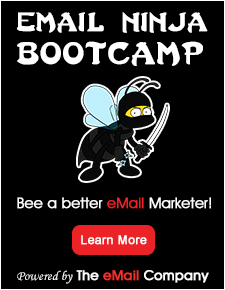 Have you recently increased email frequency? Perhaps introduced new messaging types like reminders/alerts or an additional newsletter? Declining open rates often go hand-in-hand with increased frequency. Nonetheless, more email provides more opportunities for an open to occur, even if on the per-campaign-average those rates decline, more of your list overall will eventually open (I’ll explain more below). Is click-through rate also declining? What about conversion rate? If click-through and conversion rates are holding steady but open rates are dropping, it’s likely due to the imperfections of measuring opens and time to refocus on measuring what matters. On the other hand, if click-through and conversion are also declining, you’re running up against a relevancy issue (if this is you, there’s help). While variances in open rates are always an indicator that something is changing, they’re far from providing definitive information as to what exactly is changing. Moreover, they do not reliably correlate to response actions (click-through and conversion) that occur further downstream. My colleague Dela Quist, founder of Alchemy Worx, advises, “Forget open rates. Instead focus on open reach,” and I couldn’t agree more. What is open reach? It is the measure of the number of email list subscribers who opened any of your emails over a specific period of time like a month or quarter rather than a measure of specific opens per campaign. Because the reality is, not every subscriber on your list opens every email you send, but many subscribers do eventually open a message. By focusing on open reach vs. open rate, you’re aiming for at least one interaction per subscriber over a defined time period vs. the highest number of actions per campaign – a big difference. Focusing on open reach vs. open rate also provides a clear picture of who your repeat vs. one-time openers are during a given period. Depending on your messaging and offers during the measurement period, understanding who your one-time vs. repeat engagers are can be insightful as to which offers and types of messaging effectively drive action. Beyond opens, the majority of your focus should be on actions that do directly correlate to conversion – such as click-throughs and of course, sales (or “completed calls to action” if buying is not the goal but, for example, downloading content or signing up for a webinar is). But don’t stop at simply measuring click-through-rate or conversion-rate per campaign. Take a longer-term, wider perspective of these actions as well by measuring click-through reach and conversion reach too. 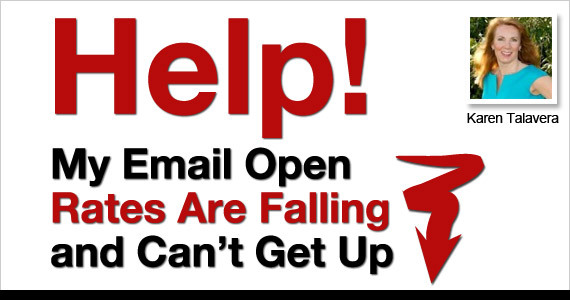 Just because your open rates are falling doesn’t mean the sky is falling on your email campaigns. Careful diagnosis will reveal what’s really going on and by doing so, will yield insights in many areas, especially actual subscriber engagement. Takeaway: In summary, running this diagnostic checklist on declining open rates will reveal whether you’re truly experiencing a decline in engagement or simply a decline in part of the engagement process, and whether and how it’s affecting your bottom line. What about declining click through rates.. we continue to see open rates increase for marketing emails, but Click-Throughs continue to struggle… Is this a mobile impact? I think mobile has had huge impact on open rates but recent research and bench-marking from Epsilon are showing click-through rates slightly on the rise too.